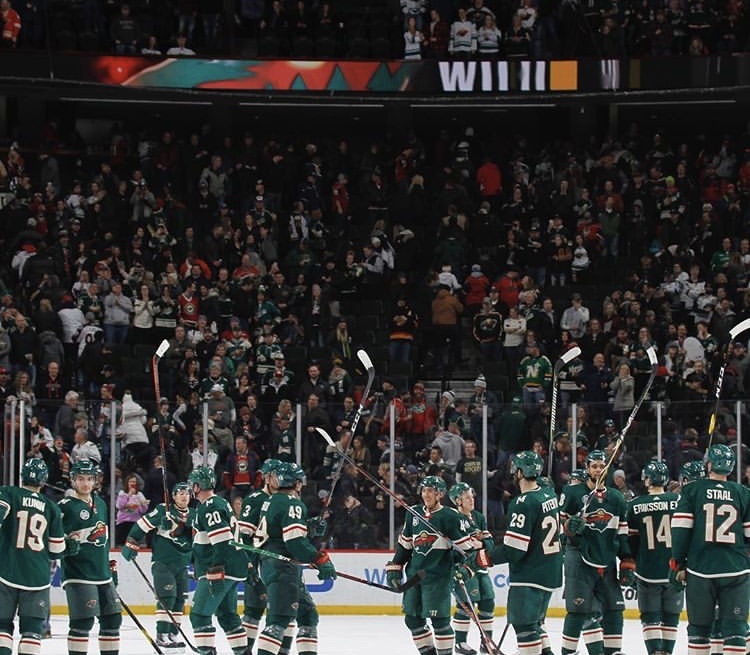 The Minnesota Wild finished the month of December with a 4-9 record which brought their best start of franchise history to an end. They were outside of a playoff spot looking in. They had an impressive run this January, finishing 8-4 and beating many top teams such as the Jets, Leafs, Blue Jackets and the Golden Knights. Having ended their games this month with a huge win in Colorado, the Wild now claim third place in the tough central division with Dallas and Colorado just points away. The team has 55 points in 50 games and now have a week off due to the All-Star break. Devan Dubnyk will represent the Wild in the 2019 NHL All-Star game. With this being Dubnyk’s third appearance, it shows he is arguably one of the top goaltenders in the NHL. Zach Parise leads the Wild in scoring with 20 goals and 44 points. Mikael Granlund has 12 goals and 41 points. Eric Staal continues to silence the haters with 17 goals and 36 points. Jason Zucker has underperformed this season but has been scoring lately. Zucker has 13 goals and 25 points. Jared Spurgeon and Eric Staal lead the Wild with a plus minus of 5. Devan Dubnyk has a 2.57 GAA and a .913 save percentage. Marcus Foligno leads the Wild in hits with 132. The Minnesota Wild ranks second in the NHL on the penalty kill with an impressive 84.2%. Matt Dumba will miss the remainder of the regular season but will hopefully be healthy for the playoffs. Eric Fehr will return soon after missing the last chunk of games.